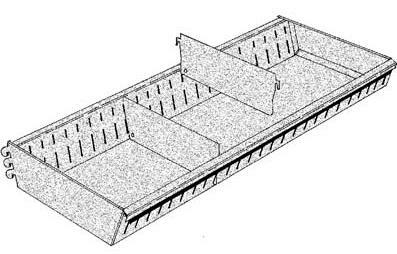 Compatible with Madix and Lozier Gondola Shelving. 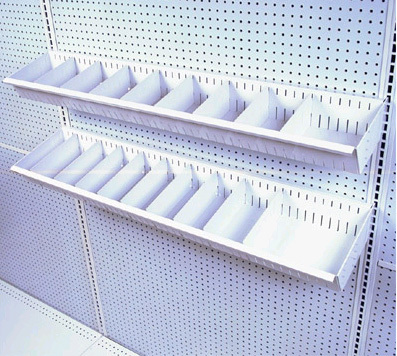 It can be used for small electrical parts, plastic pipe fittings, trial size items, nuts, bolts, screws, and other parts. 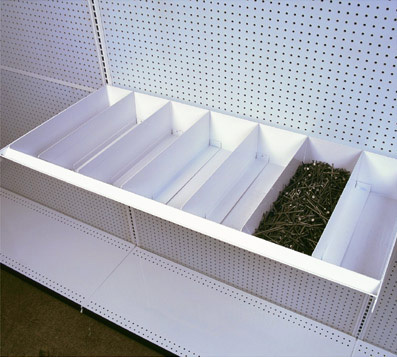 This shelf is designed for exclusive use with the Nail Bin Shelf [NB-(NW)24] to form bins for various types or sizes of product.